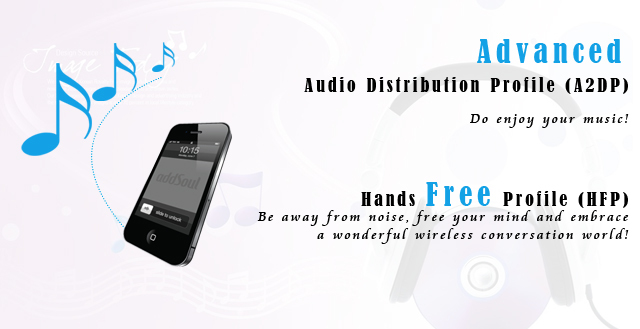 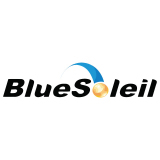 About free upgrade: BlueSoleil 5 and BlueSoleil 7 SN owners have free access to this version. 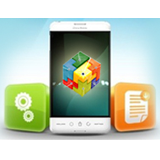 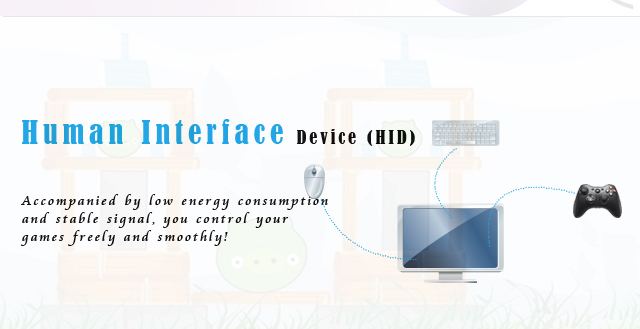 Just download and install the software accordingly. 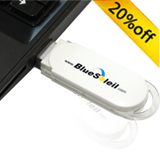 Note: BlueSoleil 10 trial period is 30 days,so you can use it for 30 days without paying for the serial number .Once buy we will send the serial number to your email ,so you can use this serial number to active BlueSoleil 10 .And one serial number can active one computer ,so if you want to change computer ,you need tell us ,we will help you .Make sure the version is the correct one and downloaded from us official website . 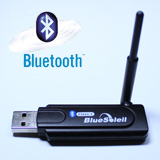 You can download the latest version and install it , if you haven't bought a serial number ,the version you use is a trial version ,it may disconnect every few minutes ,and it may pop-up boxes stating that only an evaluation of 2MB is available.Try to connect your bluetooth deviece in this mode , if it can work well with your computer ,you can buy a serial number to active BlueSoleil software. 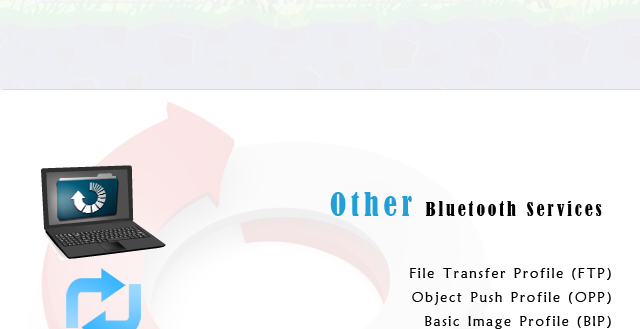 More informations about BlueSoleil . 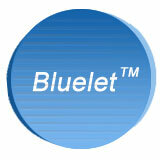 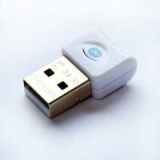 BlueSoleil is developed by IVT Corporation who since 1999 has been continually serving the Bluetooth community. 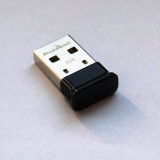 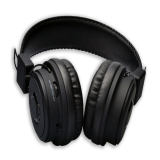 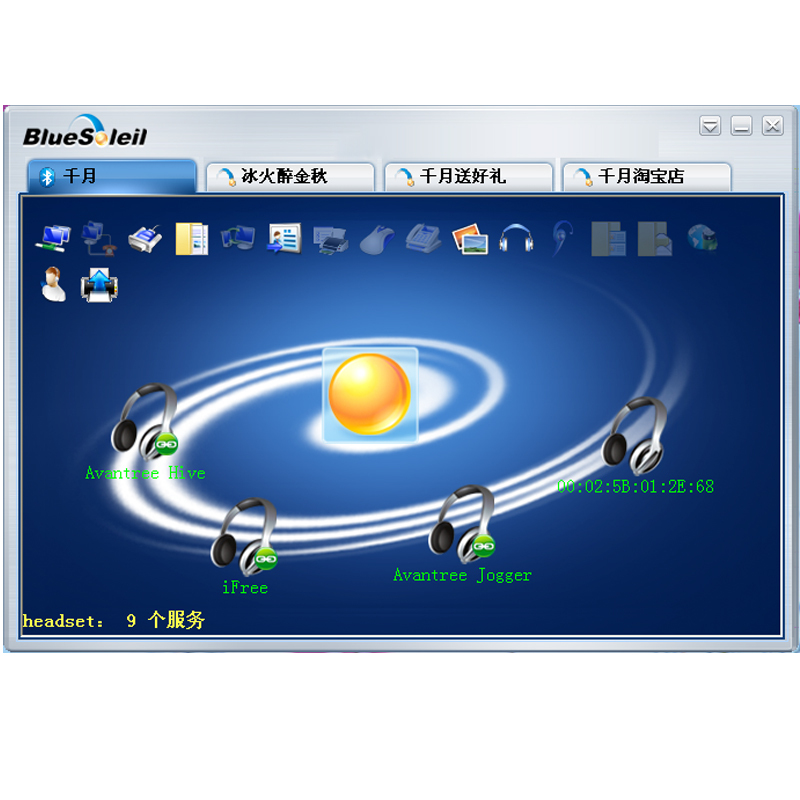 Being user-friendly, innovative and interoperable, BlueSoleil has grown as one of the most popular Bluetooth PC software in the industry with over 100million copies sold since 2009. 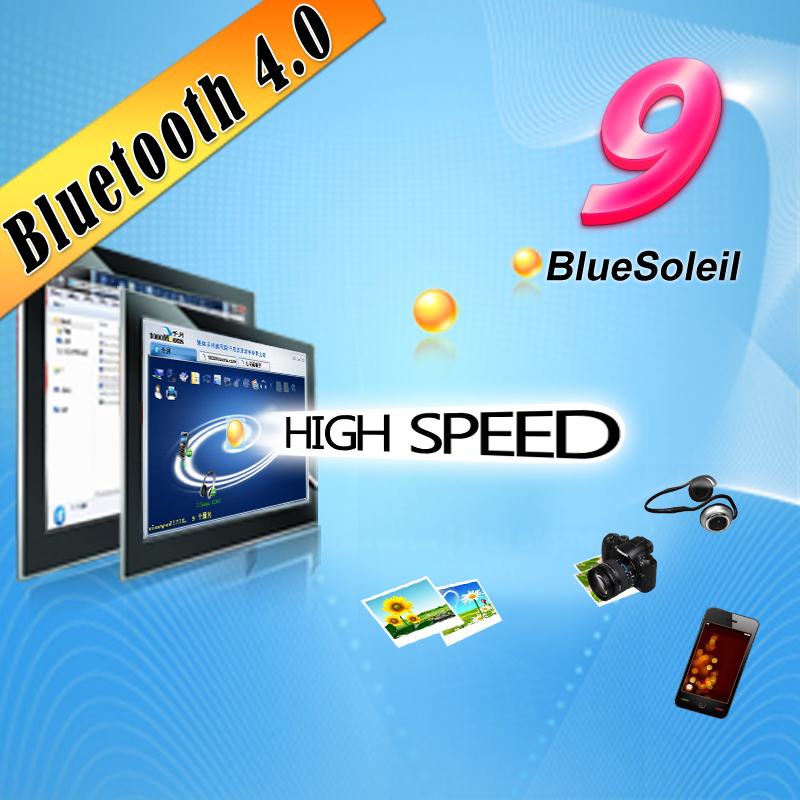 BlueSoleil 9 based on BlueSoleil 8's features takes advantage of Bluetooth 4.0 low energy technology and is Windows 8/8.1 /10 compatible, having improved functions and optimized performance. 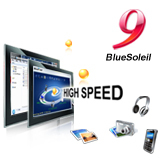 What can BlueSoleil 9 do for you? 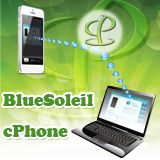 BlueSoleil 9 works flawlessly on Windows XP, Windows Vista, Windows 7 and Windows 8/8.1、Windows 10 platforms. 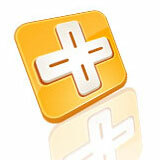 Downloading needs corresponding accumulate points deduction, click here to view the points rules. 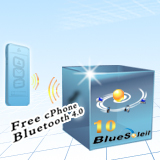 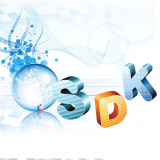 BlueSoleil 5 and BlueSoleil 7 SN owners have FREE access to the latest version. 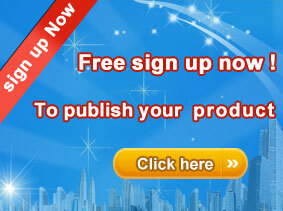 Click here to improve your personal data, and you will gain 20 accumulated points.